Achieve consistent quality sleep without the use of sleeping aids, in 60 days or less. By addressing the root causes of your sleep struggles, we help set you up with good sleep, for life. Take advantage of our strategies, expertise, coaching and support to help you reclaim your sleep, quickly and easily. This comprehensive course and group coaching program is the most complete and progressive sleep program available today. It has been over ten years in the making. It is tried and tested. This ground breaking program addresses the real issues that are affecting people's sleep today. 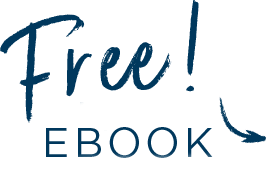 With weekly sleep coaching calls (and workshops) online and tons of hands-on support, you'll finally receive the breakthrough you've been waiting for with your sleep. Your live weekly sleep coaching sessions will address your particular struggles and begin to transform your sleep. You will be guided through the process, have your questions answered, as well as learn from others who are often going through a very similar experience to you. The groups are kept small to ensure plenty of personalised attention. Be guided by The Sleep Expert who has been through this process herself. Access Elina's ground breaking Sleep Expert System through a weekly online tutorial. Each step in the process has a video tutorial that explains the key concepts and introduces you to the steps and the resources you can use to complete that step. You can watch the video tutorials anytime, anywhere. After watching the short tutorial, you attend the weekly coaching call on that topic and get individualized help. You will receive videos and notes - something to support you in the style that suits you best, with the ability to do as much or as little as you like. This is material you will not have seen or heard before. It is a fresh, progressive and enjoyable approach to sleep. Put simply, you'll love it. You will receive relaxations, guided meditations, and various other unique and invaluable resources to support you along the way to reclaiming your sleep. Developed specially for you, so that you can become an expert sleeper. You will have access to online support for any questions that come up for you. Be supported for the entire journey. Stop persecuting yourself by lying awake at night, waking up tired, having a foggy brain, or not having the energy to do the things you love. Start sleeping well again. It is totally possible. This system is tried and tested. It simply works. I know first hand the devastating effects that lack of sleep has on a person’s life. My experience with chronic insomnia began while working in finance. Sleep deprivation negatively affected every aspect of my life. 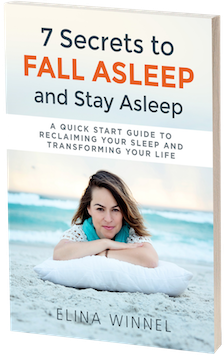 My self-healing journey led me through years of intensive study into the core nature of sleep difficulties. From the conventional to the unconventional, the progressive to the ancient; I scoured the globe to educate myself on the science and art of sleep. Along this journey, I developed my own unique methods to target the key elements critical to restoring the body, mind and soul back to natural sleep. An approach that not only worked, but led to fundamental and positive change. My years as an insomniac were some of the worst in my life. But ultimately, insomnia was the unlikely antagonist that started me on a journey that led me to some of my best and most rewarding experiences. I believe it’s so important to remind people of this: the road to sleep recovery doesn’t have to be a struggle. For my clients, it is a process of great discovery that’s fun, exciting and enlightening. And, most of all, a humbling reminder that sometimes suffering is our greatest teacher. To me, each person I support in this process is a privilege and a gift. I personally invite you to join me on this rewarding journey.